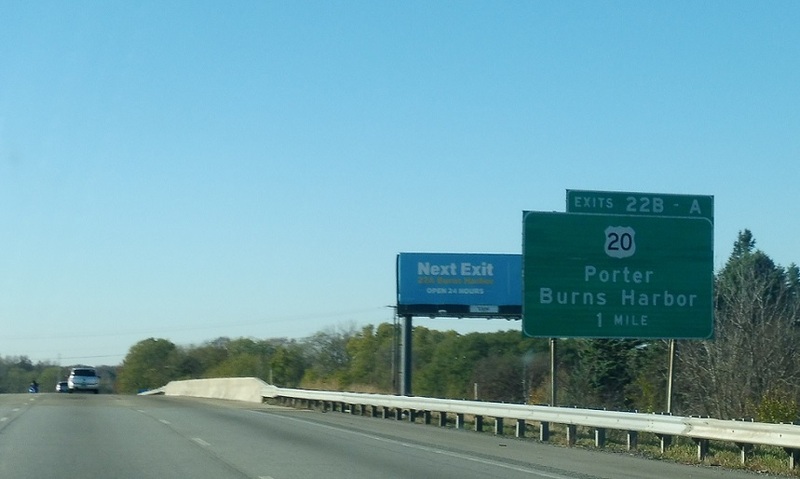 Reassurance shield after Indiana 49. 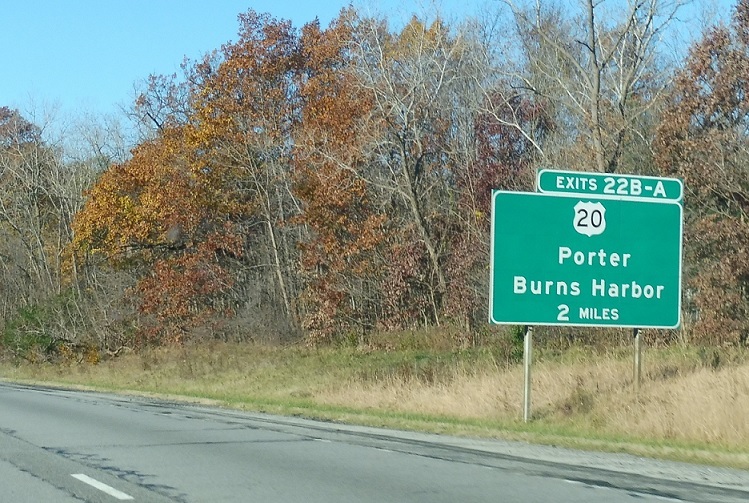 As we enter the city of Porter, we’re two miles from US-20. 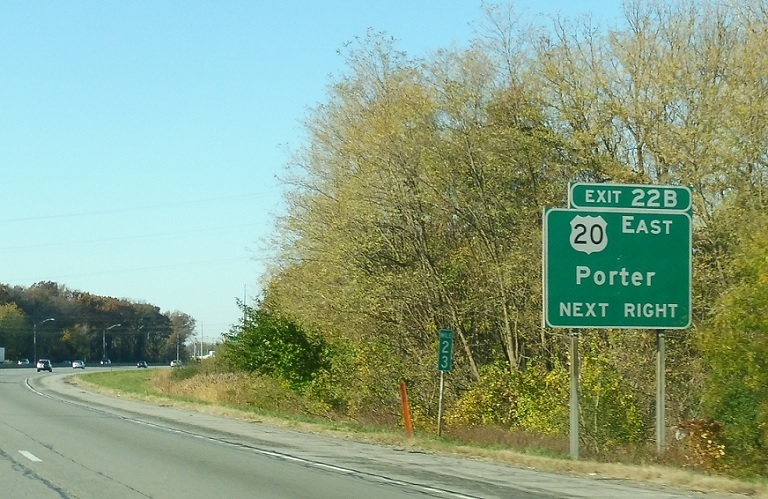 Exit first for US-20 east, which heads into downtown Porter. 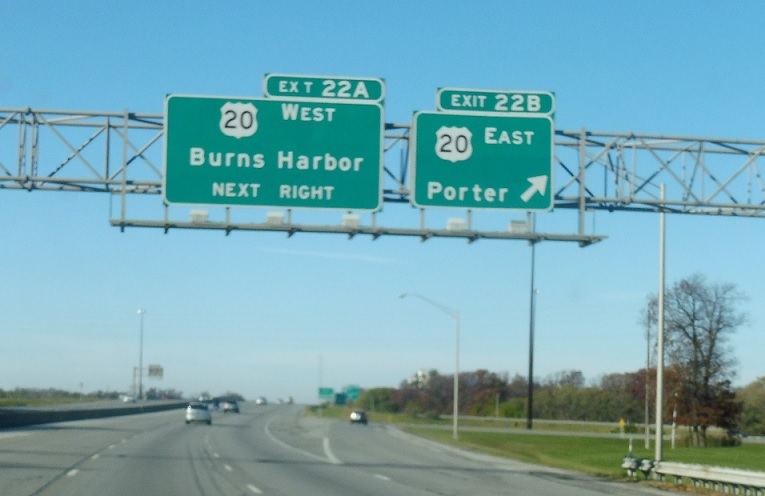 Exit for 20 east to Porter. 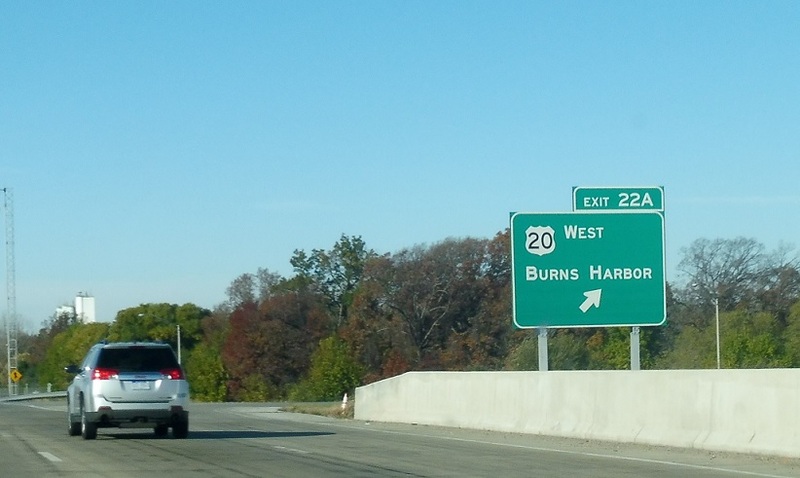 In the interchange, we’ll actually cross into Burns Harbor. 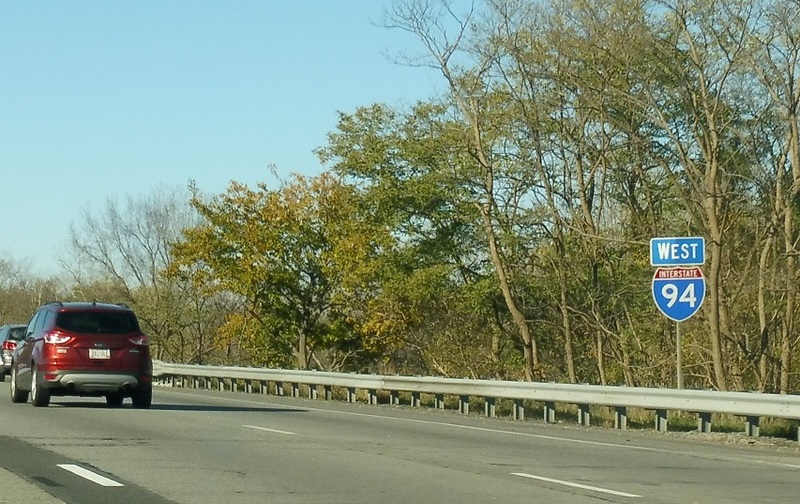 20 west serves the city center.